When trying to get the most out of advertising budgets, agencies love to utilize a format that delivers effective low-cost advertising. But agencies love getting to play with the latest and greatest ad technology too. Although many people overlook it today, the transit shelter advertising actually offers a great compromise between these two desirable values. Transit shelter advertising offers scalability. A low entry cost compared to other OOH formats allows local organizations access, while the national presence suits large brands too. Urban areas never sleep and neither does transit shelter advertising. Transit shelter ads are highly visible even through the night. It’s safe to say that the ads never stop working. Bus stop adverts can’t be ignored or switched off. They are an old school interruptive marketing technique. That’s not to say the brand behind shouldn’t seek to curry favor with the audience, but they don’t need to ask permission before delivering content. Transit shelter ads are visible enough to attract your passing audience, but they are also strategically placed for a captive one as well. 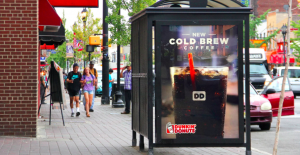 For those actually waiting for a bus, transit shelter advertising can contain much more information than many other forms of OOH can as a higher percentage of viewers are there for longer periods of time. National advertising campaigns have the potential to achieve very high levels of reach (the percentage of the population that sees an advertisement over a certain period of time) via transit shelter advertising, particularly given the cost compared to other more expensive high reach formats like television and radio. Transit shelter ads are a great local campaigning tool as well. They are your “feet on the street” and speak to a local audience – with the added benefit of being affordable enough to change (and increase relevance) for different locations. 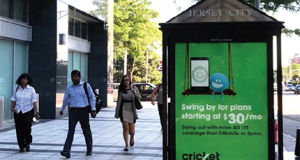 Although transit shelter ads are a more traditional OOH format, they aren’t stuck in the past. They are more personal than a billboard, can carry much more information, and are able to rely on a more captive audience. As a result transit shelter advertising offers more interaction between your audience and your message, leading to great results. Contact us today about adding transit shelter advertising to your National or Local campaign today. Don’t know where to start? We’ve got you!